Pre-booking not necessary. Buy your ticket when you arrive. For a stress-free day ! 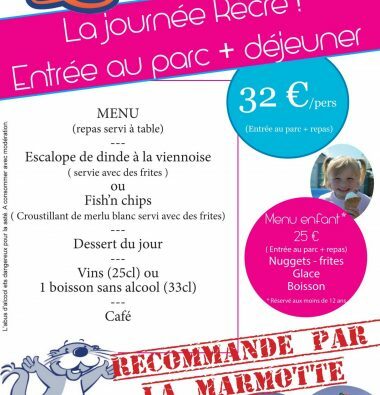 Admission to park + lunch = Récré Day Out for 32 € per adult or 25 € per child under 12. Booking is preferable for groups of over 15 people so you are sure to get a table.